Category: Geometric Measurement. Tag: Tools. 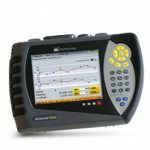 LEVALIGN EXPERT provides an accurate and easy to use method for the measurement of flatness and straightness of machine bases and foundations, split machine casings, as well as flatness and parallelism of circular, rectangular and odd-shaped flanges. 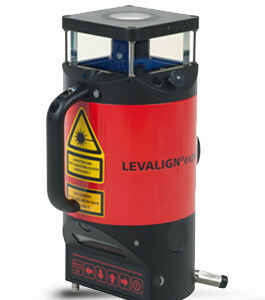 The system consists of a self-leveling motorized rotating laser and a sensor which interface wirelessly with a dedicated ROTALIGN ULTRA geometric measurement COMPUTER. The surface profile of the measured component is displayed with full color 3-D graphics for better evaluation of the results. Powerful features such as InfiniSplice™, allow for the merging of measurement files and the freedom of repositioning the rotating laser to another location during measurement to overcome obstructions to line-of-sight and measure complex-shaped surfaces. 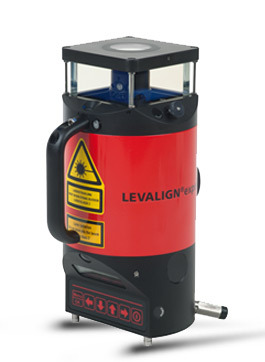 Surface flatness measurement using LEVALIGN is simple and straightforward —only a single operator is needed to measure large vertical and horizontal surfaces. 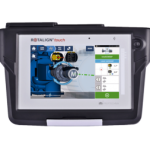 LEVALIGN EXPERT is ideal for maintenance departments, field service crews, CONTRACTORS and OEMs. Also available as an add-on package to the ROTALIGN ULTRA.